Jeffries A. Blunt is the Son of the late Edward A. Blunt and his wife Mary Francis Hall Blunt, and was born in Marion, Alabama, on the 5th day of December 1861. 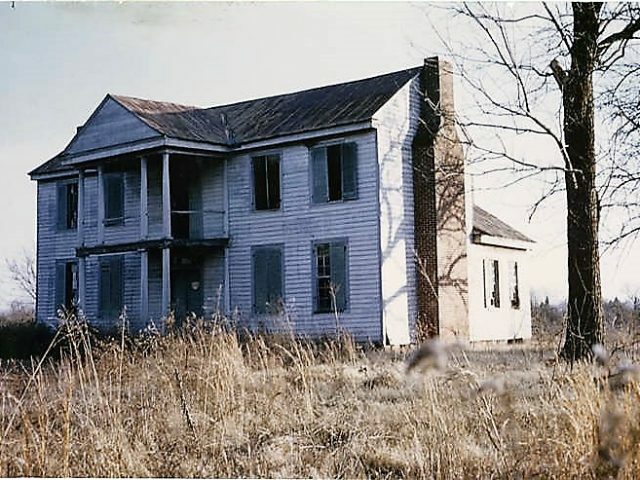 At the age of thirteen years—1874—he came to Greensboro and clerked in the general merchandise Store of A. S. Jeffries for three years, at the expiration of which time he entered the employ of James W. McCrary, as a clerk in his store. 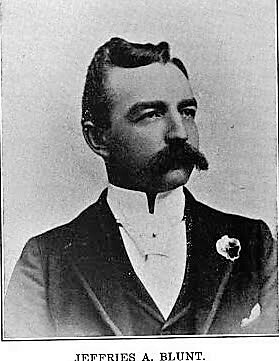 He held this position for ten years, when he and M. M. Avery entered the mercantile business, buying out A. S. Jeffries, the style of the firm being Avery & Blunt. In 1894, upon the organization of the Bank of Greensboro, Mr. Blunt was elected as Cashier, which position he held until 1896, when he was elected as President of the institution, which position he has filled since that time to the present with marked ability and success. Mr. Blunt served for a dozen or more years on the Town Council, and it was largely through his efforts that the cemented sidewalks were put down in the business portion of Greensboro, and also that the Main Street was cherted from the depot to the cemetery. 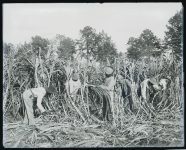 Mr. Blunt’s name is connected with a number of Greensboro’s enterprises, and many of the principal buildings. 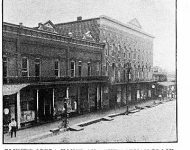 In 1897, Mr. Blunt erected a two story brick structure filling the Space on the South side of Main street between the Steinhart building and the Dorman stores. 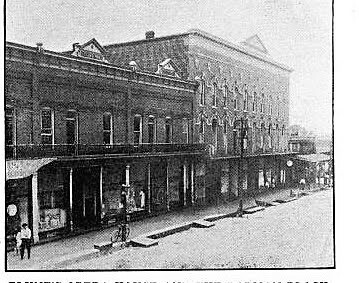 In the upper story he fitted up a pretty Public Hall, and the building was given the name of the “Opera House Block.” This structure was burned to the ground on the night of Nov. 24, 1902, as were also the Dorman stores. 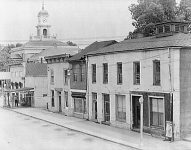 It was the most disastrous fire in the history of Greensboro, the losses footing up about $70,000. 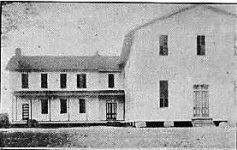 In 1903, Mr. Blunt replaced the burned stores with the present handsome building—the most imposing ever erected in the town. The same year, Mr. C. A. Ramsey rebuilt the Dorman block, the present handsome stores being the result. 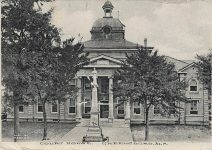 In this block has been conducted since 1847, the Stollenwerck drug, store, which was established in that year by Alphonse Stollenwerck, who died in Greensboro on August 11, 1900. Since his death, the business has been conducted by his sons. Mr. Stollenwerck was an honored and much-respected citizen of Greensboro for more than half century. Jeffries A. Blunt married Joanna Stollenwerck Ward. He died February 1942 and is buried in Greensboro Cemetery, Hale County, Alabama.